“ADAO shares the horror of other asbestos victims groups, doctors, engineers, scientists, labour leaders, and public health organizations at the Zimbabwean government’s announcement to craft a revival plan for the Shabanie and Mashaba asbestos mines. ADAO joined forces with over 40 associations, institutions, and organizations from across the globe to send an urgent opposition letter to leaders within Zimbabwe spearheading this effort. ‘Your government’s announcement echoes recent attempts to reopen the Jeffery asbestos mine in Canada. The only support for this reprehensible and retrogressive action is from those who work for and with the asbestos industry. National and international medical and health authorities and concerned citizens around the world have long stood up in opposition to this mine project, and groups such as ours pledge a relentless commitment to a global ban of asbestos. The time is now – as you rebuild Zimbabwe – to embrace a policy that protects public health. 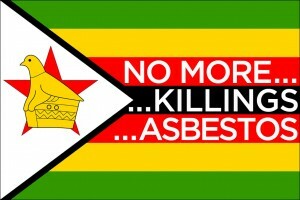 The Zimbabwean government has the opportunity, the moral responsibility and the duty to end the deadly asbestos legacy. We understand that asbestos is a sensitive political and economic issue and that your government might be tempted by expected profits. But the short and long term effects of pursuing this strategy are simply not worth the cost to humanity, as people will be exposed to this deadly carcinogen and will die as a result. Efforts have been long underway to rid Zimbabwe of asbestos – including a large protest dating back to 1974 calling for an end to imports. To consider re-opening mines now is unconscionable. 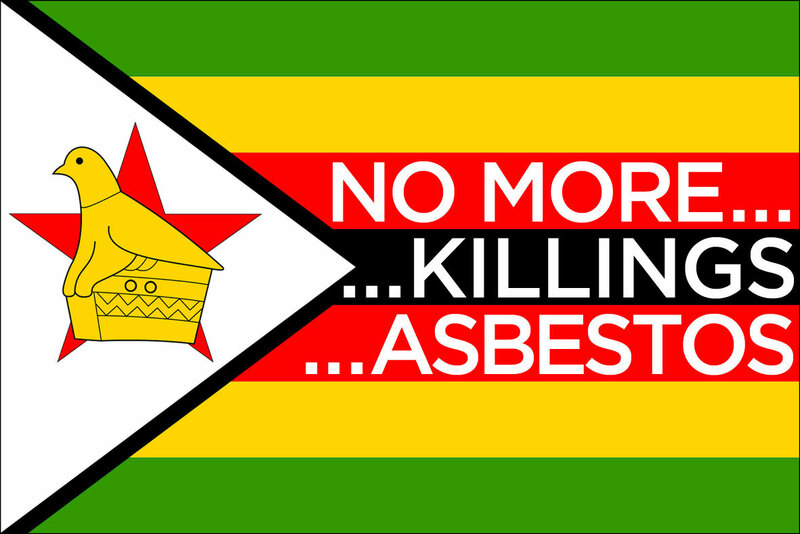 ADAO is hopeful that the joint letter will have a significant impact on the decision of the Zimbabwean government to do the right thing and help foster an asbestos-free environment in that nation. This entry was posted in Press Release and tagged activism, ADAO, advocacy, Asbesots Disease Awareness Organization, asbestos, asbestos-related diseases, cancer, Gift Chimanikire, Global Ban Asbestos Network, Jon Stewart, Linda Reinstein, Richard Clapp, Richard Tsvangirai, Robert Mugabe, social media, twitter, Zimbabwe. Bookmark the permalink.